Living out of habit is something a lot of us do, a lot of the time. We build routines, patterns, ways of going about things, and we settle into them. And when we see nothing wrong with those habits, no reason to change them, we carry on with them, regardless of whether or not they're actually bringing us closer to what we want or where we want to be. Perhaps you developed a certain habit because at one point, that was what you needed to do to achieve a certain goal. But do you still need to do it? Are you still working towards the same goal? 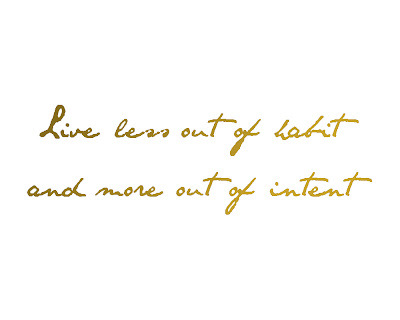 If not, it might be time to stop living out of habit, and start living out of intent. Rather than falling back on old, familiar, or comfortable routines, become conscious of your actions and behaviours, and consider whether habit or intent is behind them. That's not to say habits are harmful, often they're far from it, and they can provide familiarity and structure during the times we need it most, but being too set in our ways can lead our lives to become somewhat stagnant, and we can end up passively holding ourselves back because we're living our lives according to habit rather than intent. This can be extended to so many aspect of our lives, from something on as big a scale as our daily or weekly routine to something as small as simply saying 'yes' or 'no'. Perhaps you're the sort of person who usually says no when invited to parties or social events, or perhaps you usually pass up the opportunity to try new things or spend time with new people. But why are you really saying no? Do you really not want to go, or are you simply used to giving that answer? Has it become a habit to pass up on opportunities? It may not have, but the next time you come across such an opportunity, just think before you answer, and answer according to what you want, not according to habit; you might be surprised at the answer you end up giving. When we make the change from living out of habit to living out of intent, we stop simply going through the motions, and instead every action becomes a step toward our goals. Our actions take on more purpose, and we start to feel more proactive, more inspired, more motivated, and a wonderful cycle of productivity breeding productivity begins. 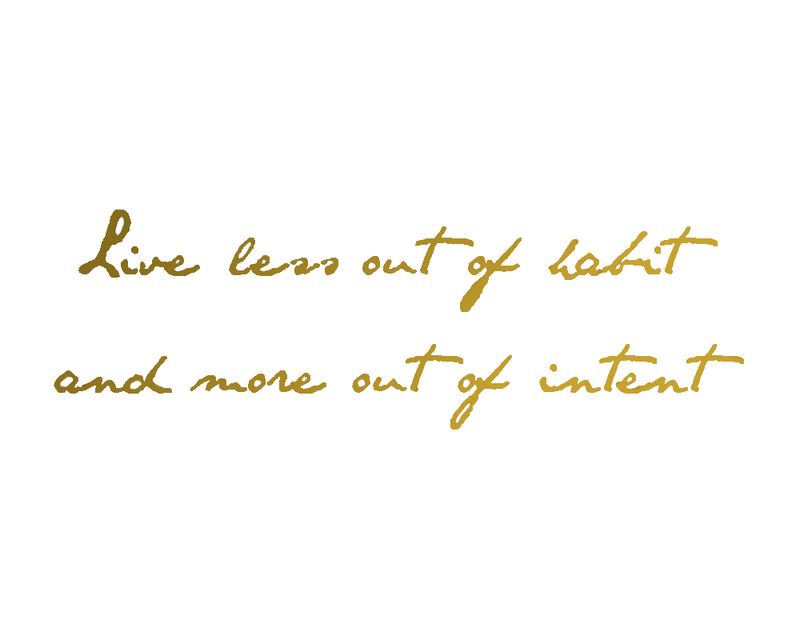 So stop living out of habit, and start living out of intent. I agree with you, most of the times I say "no" to many things, big things and small things, So I believe what you say that maybe it has become a habit of mine...I'll definitely try to make my best and think before giving an answer to any opportunity whether is a silly thing as going to the movies or partying with friends. It's something a lot of us probably do, and I'm glad you're going to try and break that habit. I hope it brings many lovely things your way!